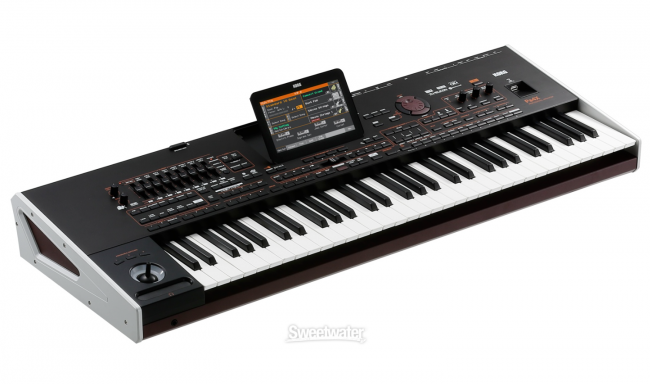 Korg has announced their latest Professional Arranger keyboard, the amazing Pa4X. The Pa4X offers massive internal ROM (read only memory) that contains a renewed database of sounds — plus it has room for up to 400MB of user PCM data, so you can load up a huge library of your own sounds. The new EDS-X (Enhanced Definition Synthesis-eXpanded) sound engine brings a new level of improved realism to sounds and styles. A huge 7-inch capacitive TouchView display with tilt gives you a hands-on, interactive, and gorgeous view into the world of Pa4X. The Pa4X also has an improved workflow for faster live performance thanks to a redesigned panel layout. The Pa4X is available in 61-key and 76-key versions.